A lovely village by the sea. 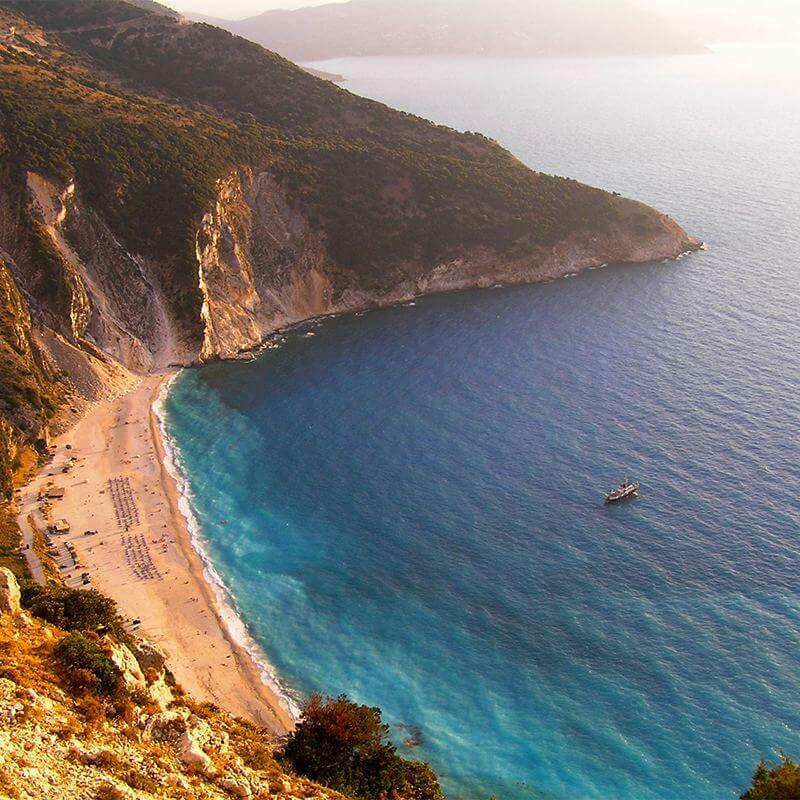 One of the most beautiful spots of the island of Kefalonia. 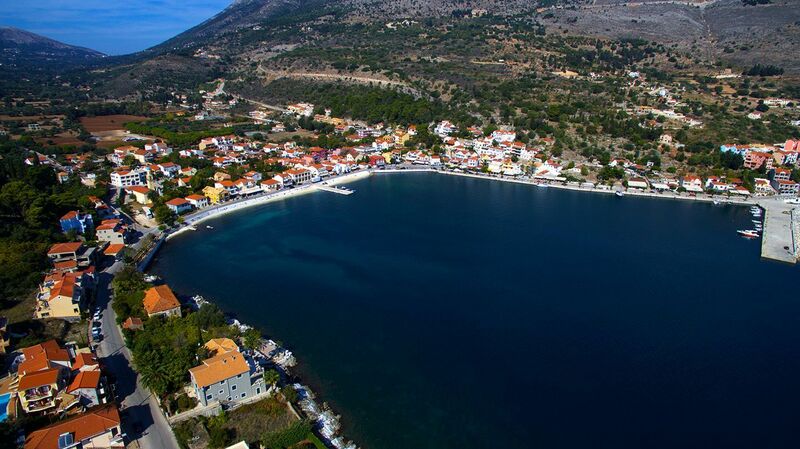 Book your vacations in the beautiful Agia Effimia of Kefalonia. One of the most beautiful islands of Greece. 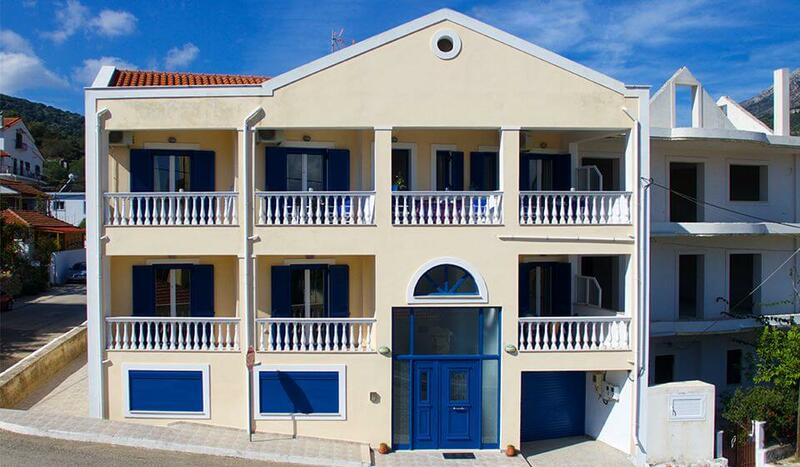 Book an apartment with us and keep unforgettable memories of Kefalonia. 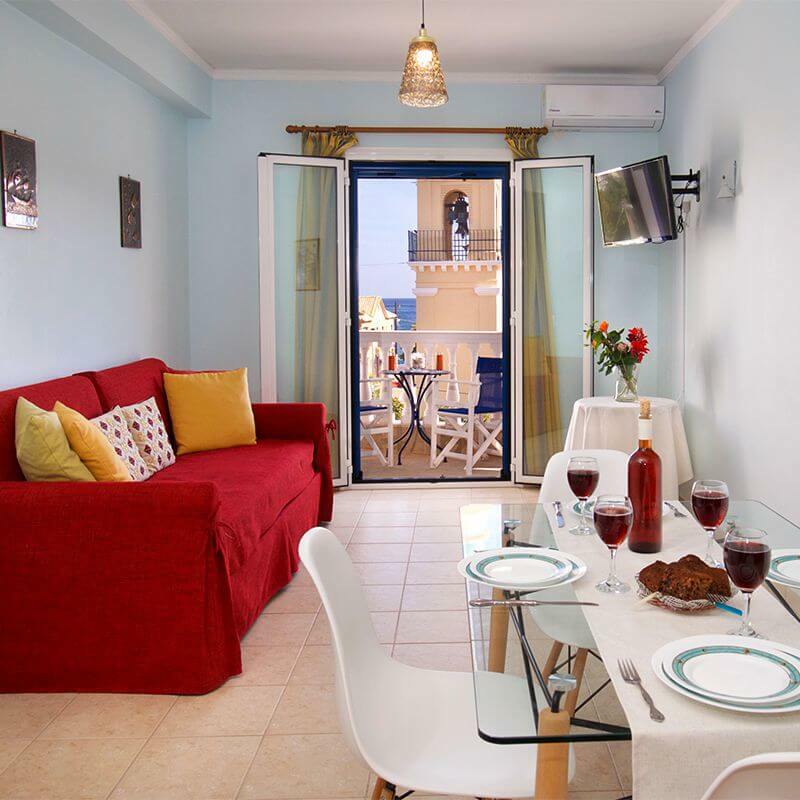 Nefeli Apartments are located at Agia Effimia, practically just a few steps from the sea. New construction building and rooms designed with care and good taste. 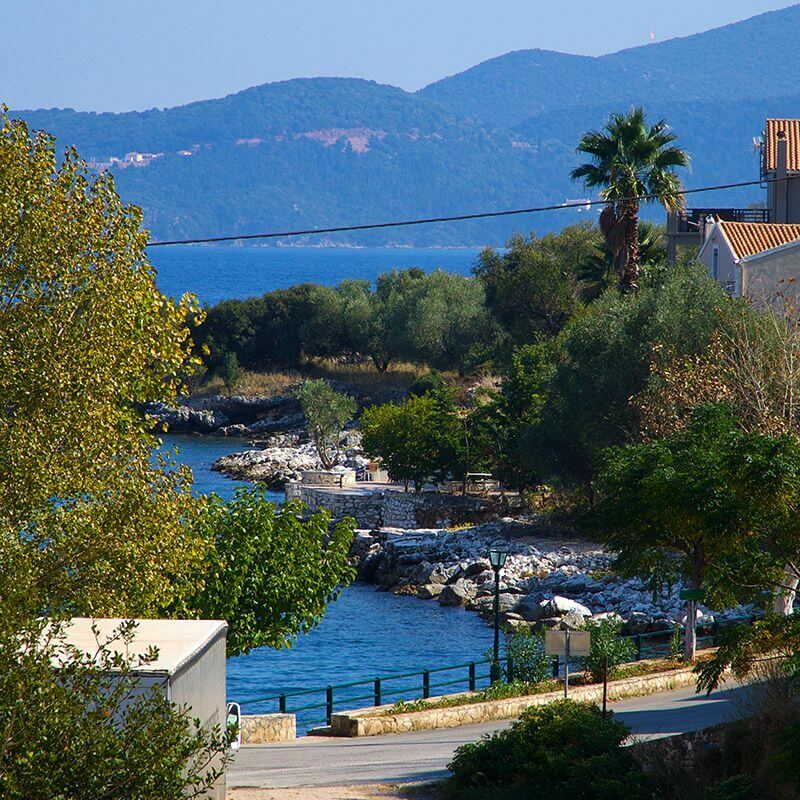 You will never get bored of the view from your room at Nefeli Apartments in Agia Effimia, Kefalonia. 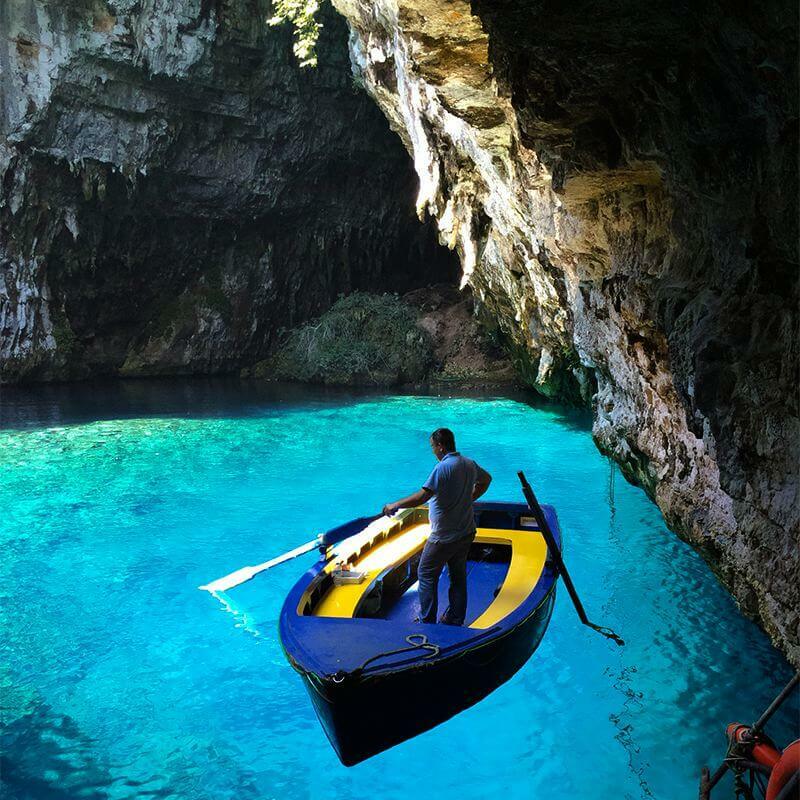 Take a glimpse of some of the most beautiful places in Kefalonia. 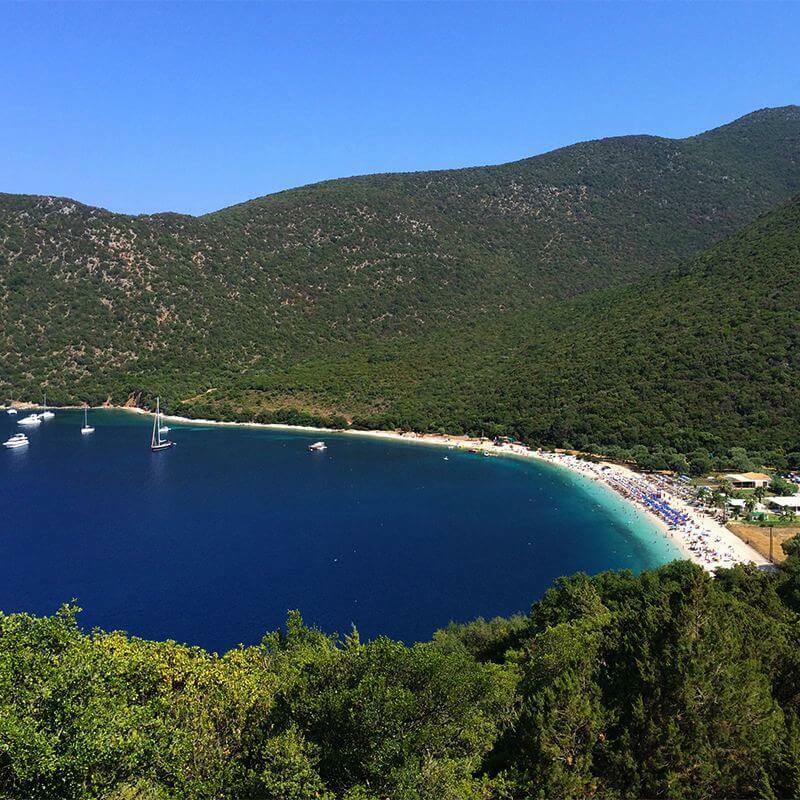 Indeed, one of the most beautiful islands in Greece, offers views that will be unforgettable to the visitor. The colors, the combination of nature and sea, the unique geological features provide a memorable experience. 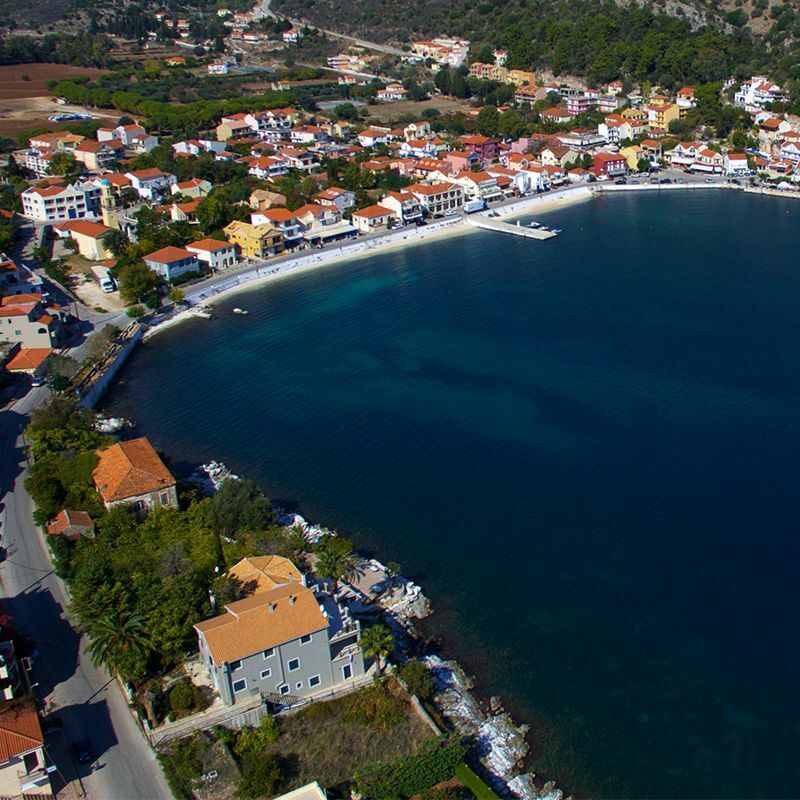 Take a look at places close to Nefeli Apartments, you can visit and explore at the island of Kefalonia. 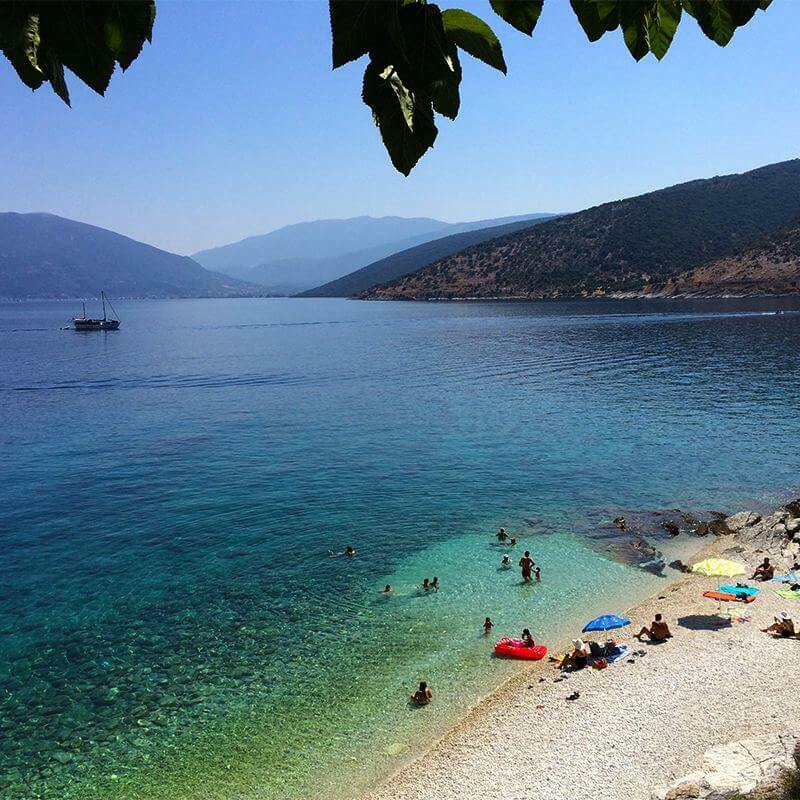 This beautiful beach known from the film "Captain Corelli's Mandolin" is no more than 12min by car from Nefeli Apartments. The beautiful Melissani. It's just a hop to the car. 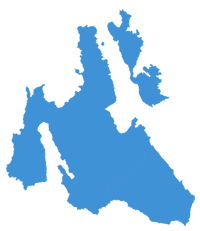 Really less than 10min from us! This is where we are! This beach is practically at a walk's distance from our Apartments! Needs no introductions. Less than 15min by car from the Apartments. A bit of heaven has been found in the picturesque village of Agia effimia Kefalonia and surprisingly is available for rent. Just take a glance of it. 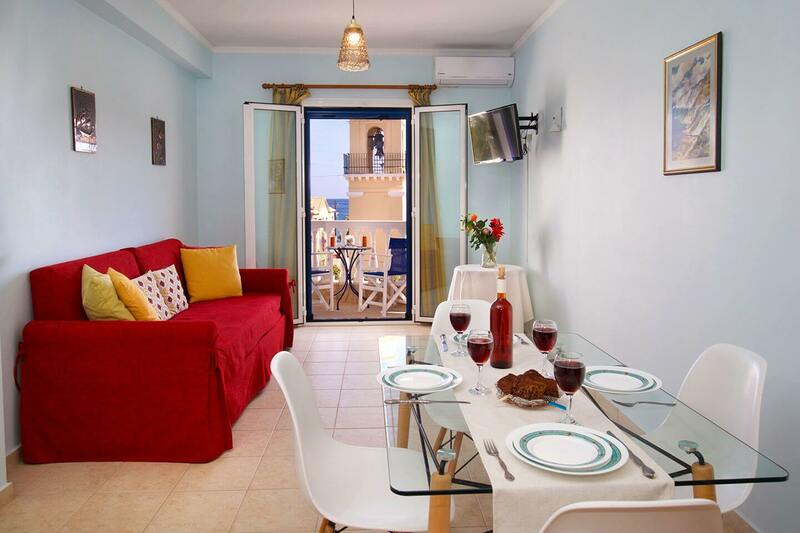 Nefeli consists of three apartments, two Flexible Quadruple rooms (50 sqm each) and one Double room (30 sqm), in the seaside of the cosmopolitan village of Agia Effimia in Kefalonia island. 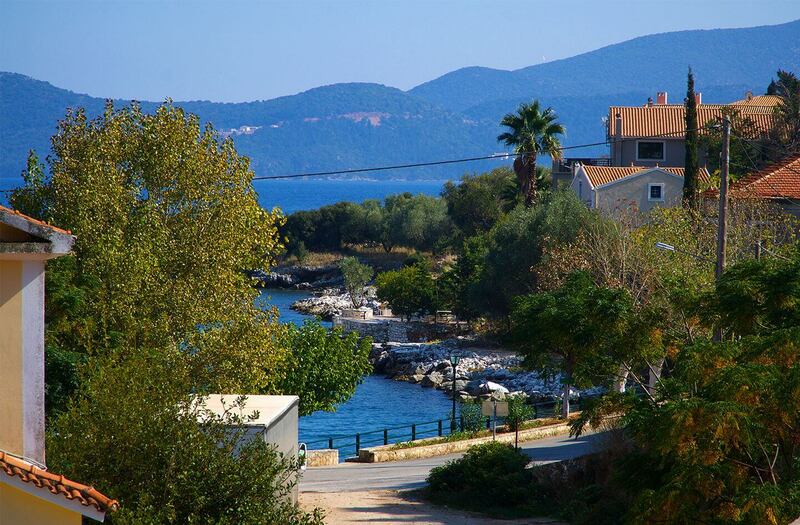 It is located in the middle of the village and is surrounded by mountains and sea. Appartamento pulito e dotato di tutti i comfort, ottima posizione ma soprattutto un grande grazie alla proprietaria Evy, gentilissima e molto ospitale. Ogni giorno ci coccolava con delle piccole attenzioni come ad esempio il succo d'arancia fresco o una torta appena sfornata. Raccomandatissimo!!!! Tanti saluti da Francesco e Valentina!!! 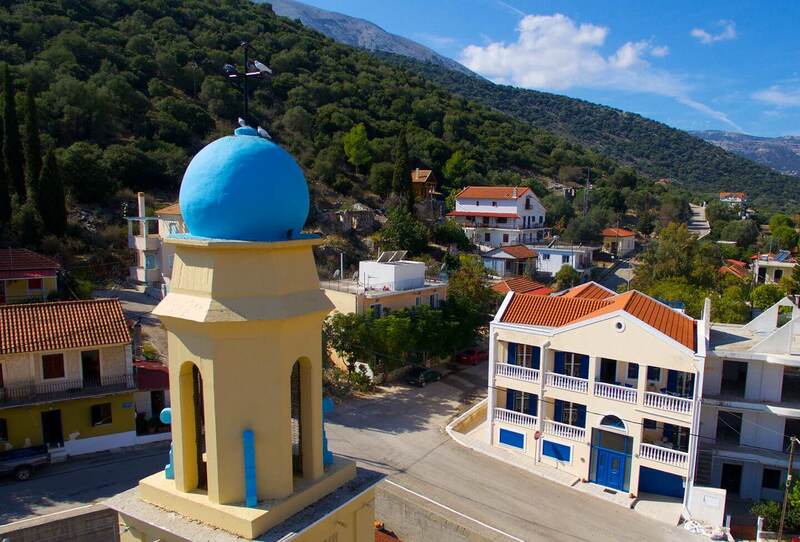 Nefeli Apartments is a family business at the beautiful village of Agia Effimia of Kefalonia. We provide excellent value and high quality lodging services. Please feel free to ask any questions. We will be glad to help you out!